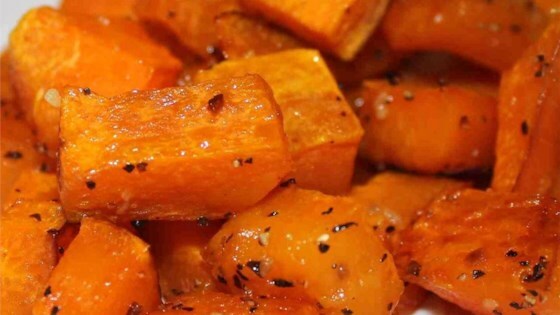 "Butternut squash is so good on its own, that barely any seasoning is needed. This recipe is so simple and easy." Peeling tip: Before peeling, wash and poke holes in the squash, then put it in the microwave for 3 minutes. After it cools down a bit, you can easily cut and peel it. Does anyone have any suggestions on how to peel easily. Everything else was great. Loved this recipe! Able to stand on it's own with no changes.... Very nice indeed!